Litchfield National Park has something for all age groups. 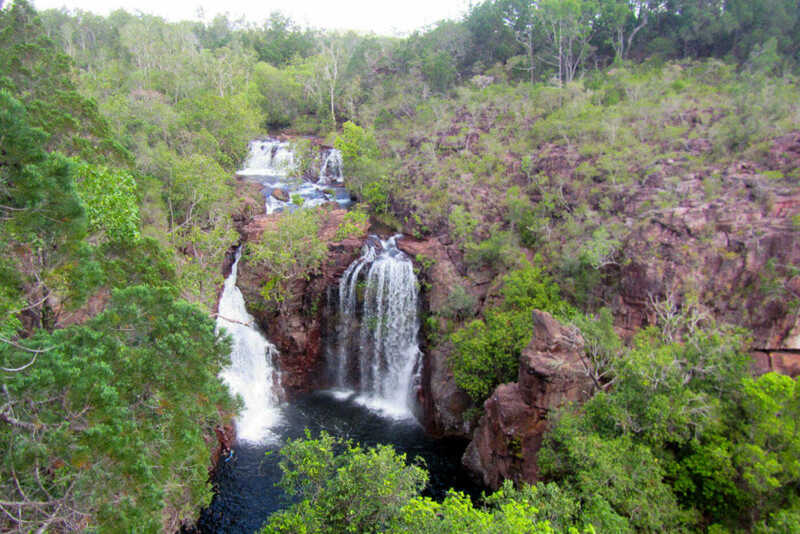 It is only 90 minutes from Darwin and it is famous for it’s swimming holes, huge magnetic termite mounds and beautiful landscapes including natural spring waterfalls surrounded by monsoonal forests. The area offers both short and longer bush walks (from one hour to three days) and also or the more adventurous families there are some great four-wheel drive tracks to get you off the beaten track. From Darwin or Katherine, but many families choose to come for just a day trip, but you can stay overnight in one of the campgrounds.